Indonesia is one of Asia’s economic success stories, with the reforms of the reformasi period having laid strong foundations for protracted growth. This attracts many foreign entrepreneurs’ interest on investing in the country. That being said, the ultimate question that arose as to what is the actual cost of doing business in Indonesia. Before that, we should first understand that there are a few steps to set up a Limited Liability Company or Perseroan Terbatas Penanaman Modal Asing (PT PMA). You must first identify as to what business field you plan to invest in or set up a business in. by doing so, you would be required to refer to the Negative Investment List to identify as to how much shareholders can a foreign entity hold in relation to the company shareholdings to comply with the Indonesian regulation. The next step you would need to comply is that you would need to establish at least 1 director, 1 commissioner and 2 shareholders in the said company. Do note however that the directors and commissioner can also be a shareholder. The minimum investment in Indonesia to start a PT PMA company is IDR 10 billion (USD 750,000.00) or equivalent to the exchange rate. Unlike incorporating a Local PT company in Indonesia which varies accordingly to the size of the business as per Regulation 40 of Year 2007, you will need to inject the minimum amount of IDR 10 billion in your PT PMA company excluding the value of the land and buildings by the company. Other than that, you would also be required to pay a capital requirement of at least IDR 2.5 billion (USD 175,000.00) in your PT PMA company. After the following steps are complied with, then you will proceed with the registration process. It will take a rough estimate of 23 days to successfully register a company in Indonesia. Medium Trade Business License must be owned by a trading company whose the net worth (paid up capital) is more than IDR 500.000.000, up to IDR 10.000.000.000, excluding land and building of business place. Do note however that the main requirement to set up a PT company in Indonesia is that it must contain 100% local shareholders. In other words, this simply means that only local Indonesian entities could hold ownership in a PT company in Indonesia. 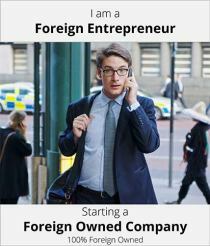 Nevertheless, there are ways in which foreign investors can still open a PT company in Indonesia. Unlike setting up a PT company varies in cost depending on the size of the company, a PT PMA company requires a minimum investment of IDR 10 billion in Indonesia. This applies to all business sectors and the amount of minimum investment excluding the value of the land and buildings owned by the company. Besides that, foreigners would be required to pay a capital requirement of at least IDR 2.5 billion (USD 175.000.00) to form a foreign owned PMA company in Indonesia. Foreign investors are required to comply with the cost of setting up a PT PMA company in Indonesia, however, this can be pretty difficult for many investors as the capital requirement is no doubt expensive. Here in Paul Hype Page, we provide you with the solution to satisfy the large capital requirement to set up a PT PMA company in Indonesia.